Our rich experienced inspectors present in more than 50 cities of china are ready to provide the inspection service for you! of the best third party inspection companies in China, serving over 1,500 regular clients in various fields from all the Continents in the world. 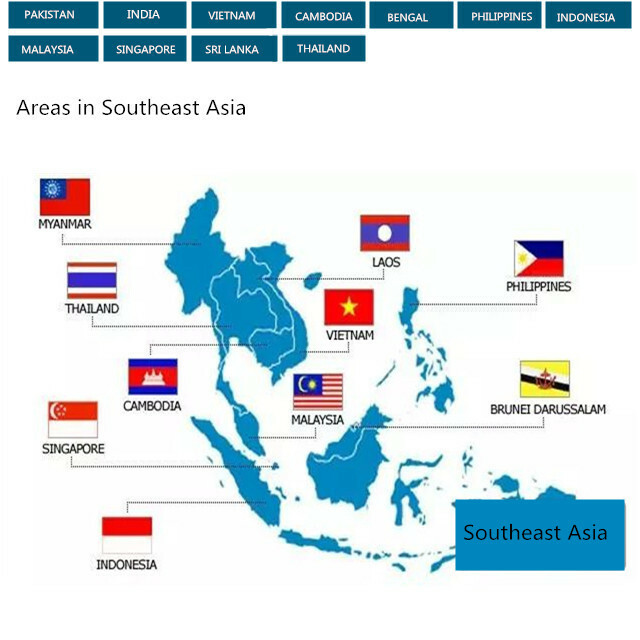 Asia, Sunchine inspection is able to perform inspection in almost every important industrial region in Asia today. 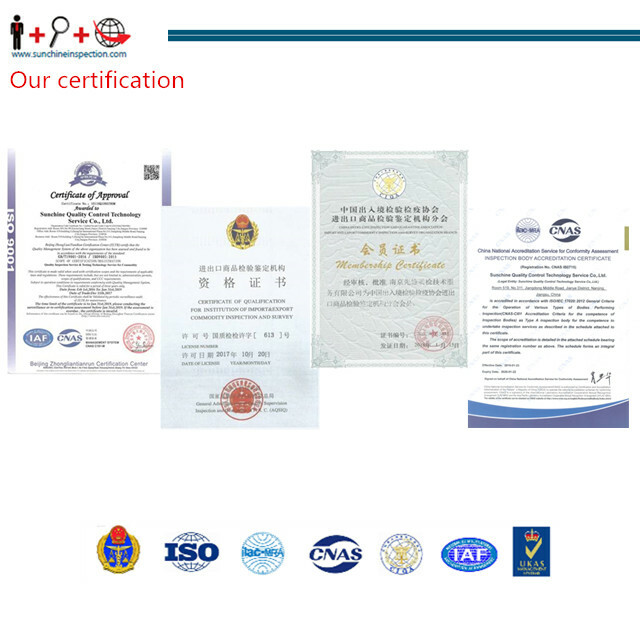 Sunchine Inspection is already accredited and certificated by all China and international organization such as AQSIQ, CNAS ISO/IEC17020, the report of Sunchine inspection is approved and authorized by more than 100 countries through agreement of ILAC-MRA. 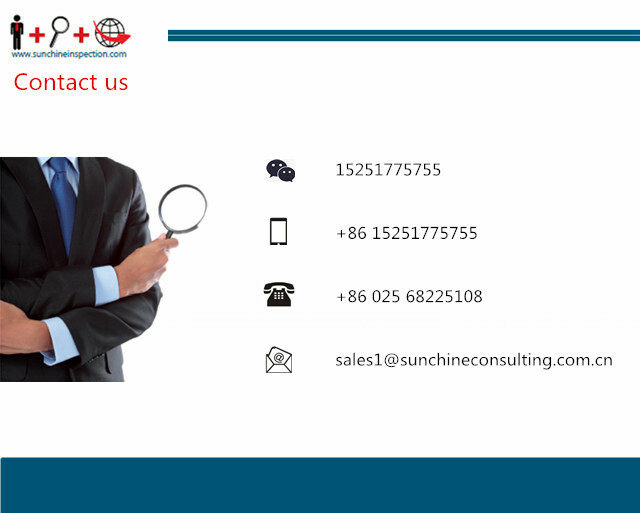 As member of CIQA, Sunchine Inspection is engaged to be one of the most reliable Inspection & Testing Companies,to help the customers to establish the confidence and safety in the international transaction. More and more multi-national firms are choosing Sunchine inspection as Global Quality Partner in China and Great Asia. 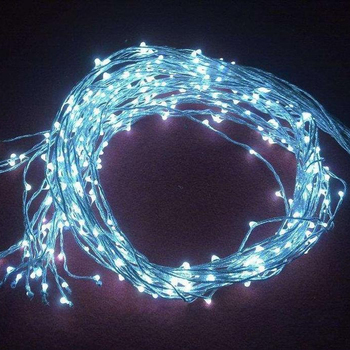 Guarantee of conformity of final production with the requirement in terms of quality, quantity,packaging, marking, etc. Inspection and verification of the conformity of machinery, raw material, and components prior to production, guarantee of good material to be used. Check and verification of first sample from manufacturer compared with client’s requirement for improving and planning the mass production. Control of container loading for making sure the correct product is shipped securely in good manner. Iran VOC, Saudi SASO, Egypt Coc, India BIS, Ecuador INEN, Nigeria SONCAP, Kenya PVOC, Algeria Coc, Russia GOST-R, Eurasian Customs Union CU-TR, Ukraine UkrSEPRO, Uzbekistan GOST-UZ, Uganda PVOC, Tanzania PVOC, Iraq Coc, Kuwait KUCAS, Qatar CoC, Ghana CoC, Ethiopia ECAE, Botswana CoC, Zambia VOC, Ivory Coast CoC, Guinea ECTN, Gabon PROGEC, Cameron CoC, Angola CNCA, Madagascar BSC, Mali CTN, Senegal CTN, Mexico NOM, Brazil INMETRO, etc.. Basic investigation/study for legal status,seriousness and solvency of supplier in China by business document and other public information check. 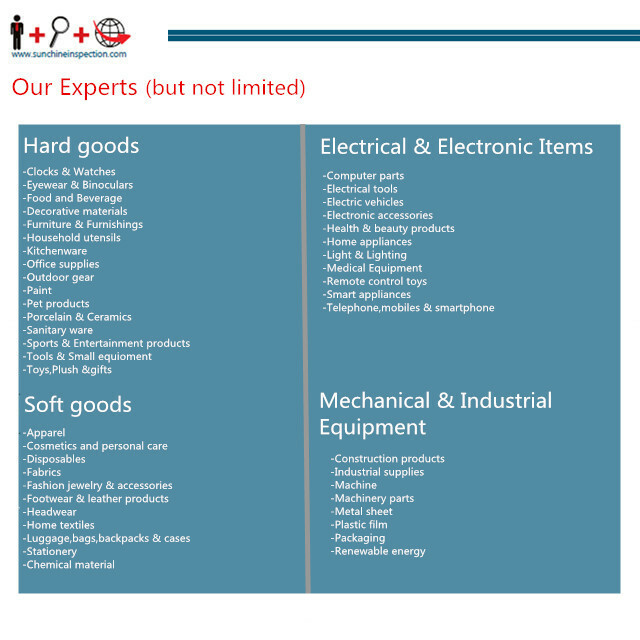 Assessment of the production facilities and organization according to ISO 9000 standards to check production capacity and quality level prior to order. Audit of supplier’s level of social responsibility according to SA 8000 standard.